In this post Daniel Aggio talks about his recent trip to the American Heart Association’s conference in New Orleans, and the exciting findings on the effects of physical activity and risk factors for cardiovascular disease. In March this year, I was fortunate enough to attend the annual American Heart Association’s conference on Epidemiology and Prevention (EPI Lifestyle) in New Orleans. The overarching goal of the conference is to promote development and application of translational and population science to prevent heart disease and stroke. The conference theme this year was health promotion: risk prediction to risk prevention, with a large focus on behavioural strategies to promote and sustain healthy lifestyles. This conference was highly recommended by my supervisors and it turned out to be a fantastic experience. There were some inspirational speakers from the field of physical activity, such as Professor Andrea LaCroix, who presented her work on American older women showing that light physical activity is associated with a reduced risk of cardiovascular events in later life. This was particularly encouraging given that a recent paper from the British Regional Heart Study (BRHS) mirrored these findings in older men. On the first day of the conference, I was presenting in one of the moderated poster sessions and what a lively session it turned out to be. 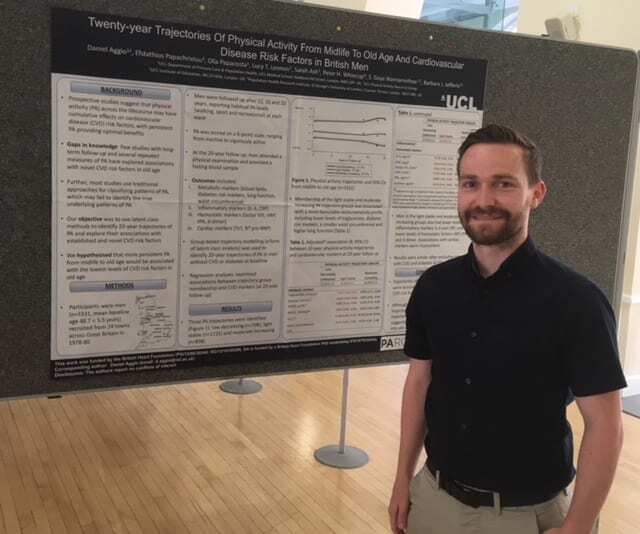 The poster I was presenting was from my PhD work utilising 20-years of physical activity data from the BRHS, a prospective cohort study of middle-aged men transitioning into old age. In this study I used group-based trajectory modelling, a form of latent class growth analysis, to plot trajectories of physical activity and examine their associations with a range of cardiovascular risk factors in old age. 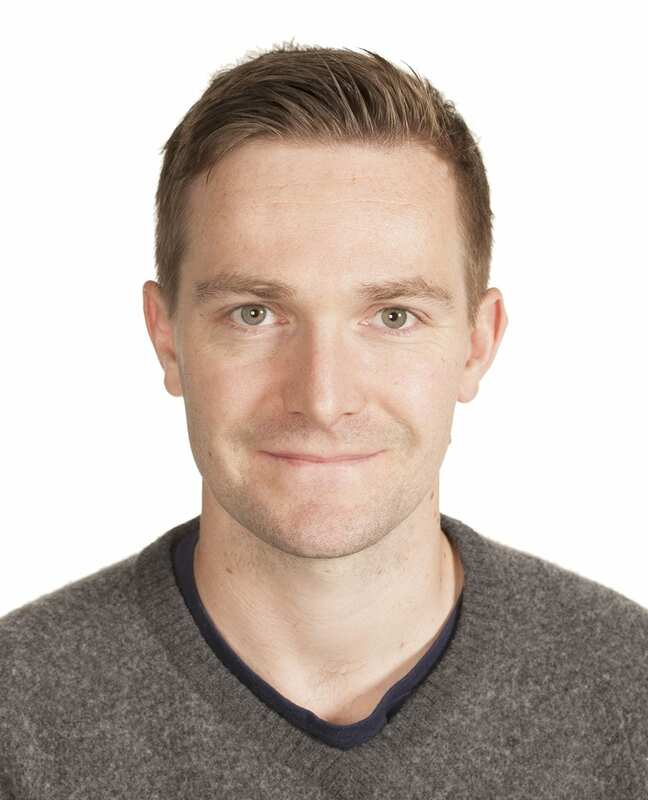 The take home message was that although sustained high levels of activity proved optimal, in fact sustaining more modest amounts of activity from midlife was also associated with significant health benefits. The session was well attended and I received some tips and advice from one of the first researchers to utilise group-based trajectory modelling in physical activity research, Dr Tracie Barnett. Since returning to UCL, I entered this poster into the Faculty poster competition in which I was awarded the runner up spot. It was amazing to see my work being recognised with so much other great research going on in the Faculty. EPI Lifestyle also had a strong programme of events for early career researchers, including a three-minute thesis competition and a session on identifying your niche in academic research. I was also invited to participate in a round table discussion on forging International Collaboration, where I represented the BRHS. Representatives from cohort studies from around the world were in attendance along with early career researchers looking to find out more about these studies and opportunities for collaborations. This was a great opportunity to learn about other cohorts, many of which I hadn’t come across before, and also to network with some of the leading investigators of these studies. More information about these cohorts can be found here. Overall, EPI Lifestyle was an amazing experience where I learned some great science, but the highlight for me was the networking opportunity. I made some valuable contacts that gave me some great advice and will no doubt be useful connections in my future career.